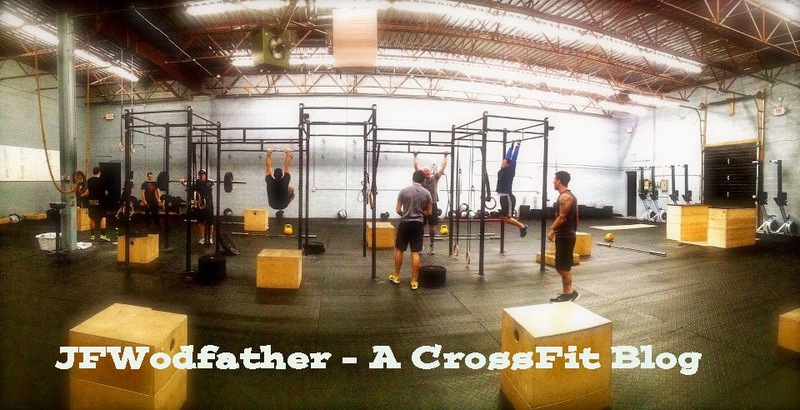 Ok. Blasphemy aside, this WOD pulled my lungs out and stepped on them. It gets progressively harder as you go and the deeper you get into it, the less you can breath. I was a little nervous going into this one because I haven't done HSPU's or KB's in about a month due to the back injury. Seeing them both in a WOD freaked me out a little. I got thru the handstands pretty quick. I used an Abmat pad and got thru the first 18 unbroken. (Yeah. it surprised me too...) After that I broke them up 5/5/2. I flew thru the pull-ups and was onto the Kettlebells. My plan was to do 25/25. I might as well have planned to do them one handed, unbroken because reality sank in very quickly that this was going to be sets of fives and tens. My lungs hurt so bad at this point I was tugging on my shorts like a fat kid who ate some bad ham. I pushed thru as quick as I could, checked my shorts and moved on to the sit-ups. I wanted to get there quick because I knew it would allow me to catch my breath. This is a strong point for me and I did those unbroken.